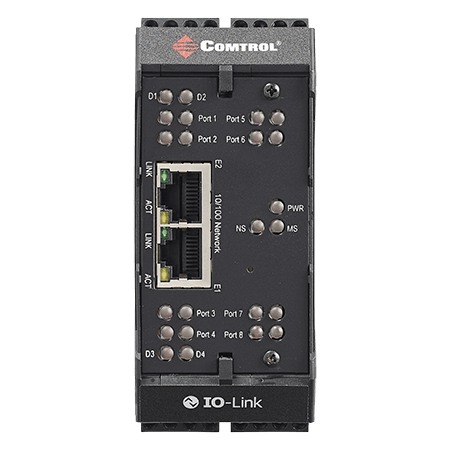 The IO-Link Master DR-8-EIP provides eight IO-Link ports and two dedicated DIO ports featuring EtherNet/IP™ communication and dual Ethernet ports with screw terminal connections in a compact DIN rail design. 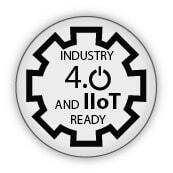 Powerful web GUI for configuration and diagnostics, including: IO-Link device management using the IO-Link device manufacturers IODD file for easy device configuration, Automatic data storage (upload and download), Manual data storage (upload and download), Device validation, and Data validation. 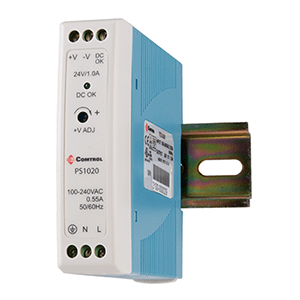 Comtrol’s IO-Link Master combines the benefits of the IO-Link standard with the EtherNet/IP™ and Modbus TCP protocols. 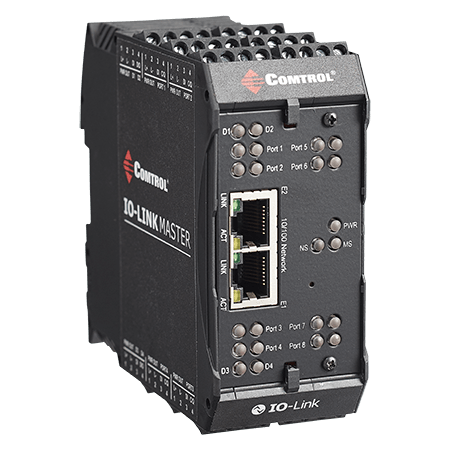 The IO-Link Master effectively shields the PLC programmers from the IO-Link complexities by handling those complexities itself. 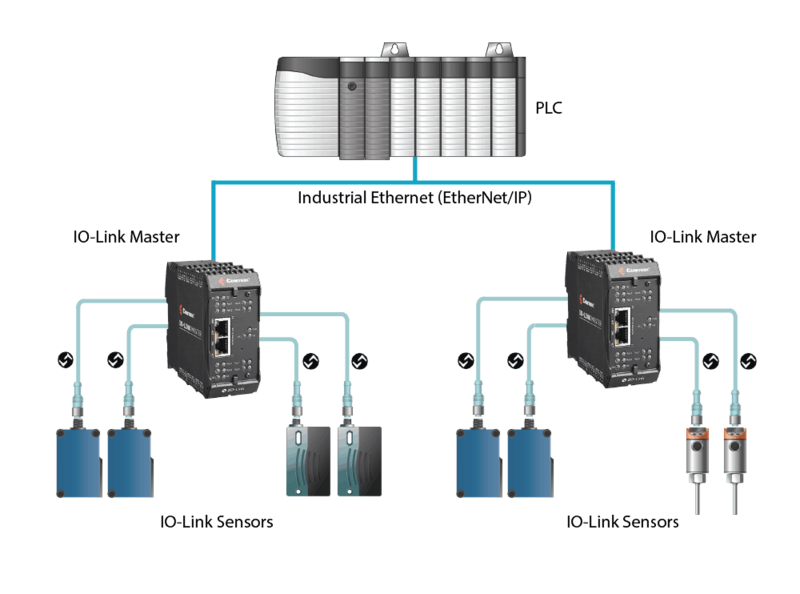 The result is simplified EtherNet/IP™ and Modbus TCP interfaces, which decreases system development time and installation efforts. The IO-Link Master easily installs on a standard DIN rail and incorporates two Fast Ethernet ports, eight IO-Link ports, two DI/DO ports and two DI ports. 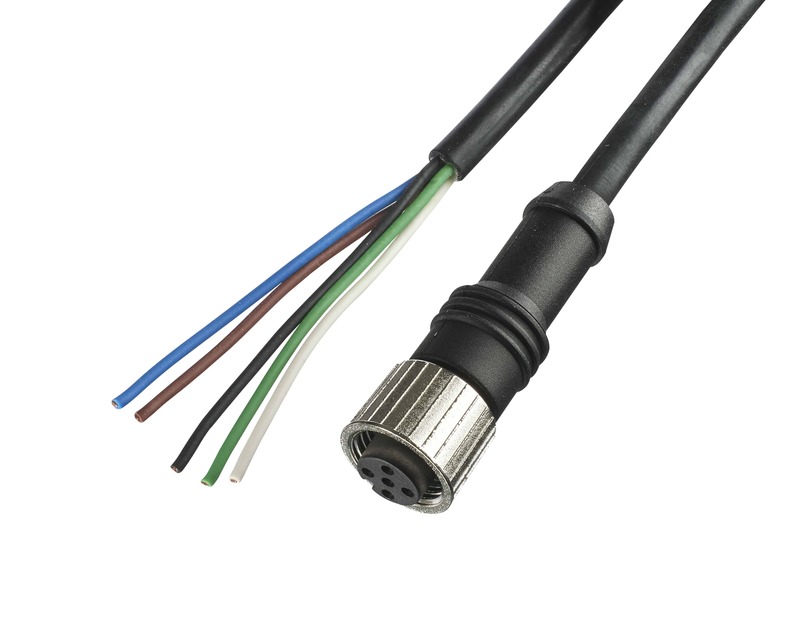 This product is designed with industrial grade components and redundant power inputs to make it exceptionally reliable for critical applications. 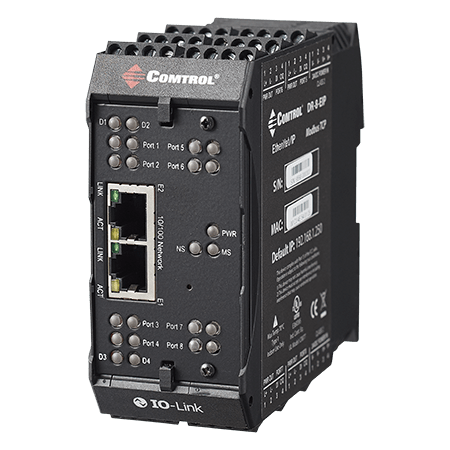 The IO-Link Master is easily integrated into a system network, and is compatible with existing and new industrial Ethernet environments. Dimensions (L x W x H)1.78" x 4.13" x 4.5"
Provides the following capabilities:Port configuration for ISDU Data, Process Data, Transfer Mode, Read/Write, Write PDI to Tag/File, and Read PDO from Tag/File. Web Page ConfigurationPort configuration for ISDU Response Timeout, Process Data, and Transfer Mode. 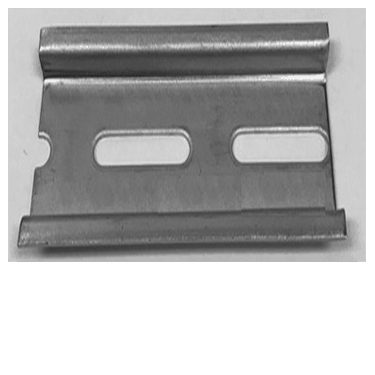 OtherThe components of this product comply with the requirements of the EMC/EMI Directive 2014/30/EU, Directive 2011/65/EU on the Restriction of the use of certain Hazardous Substances (RoHS2).